Posted on Thursday, February 25th, 2016 at 11:19 pm. The J-1 Exchange Visitor Program provides the U.S. Department of State endless ways to create innovative partnerships and meaningful programs for young professionals around the world. Today, I would like to tell you about an interesting and inspiring public-private partnership the State Department has, thanks to the J-1 Exchange Visitor Program. Last month, we celebrated the one year anniversary of the Emerging Global Leader Initiative (EGLI) – Atlas Corps Fellowship. This fellowship was created as part of President Obama’s Stand with Civil Society agenda. 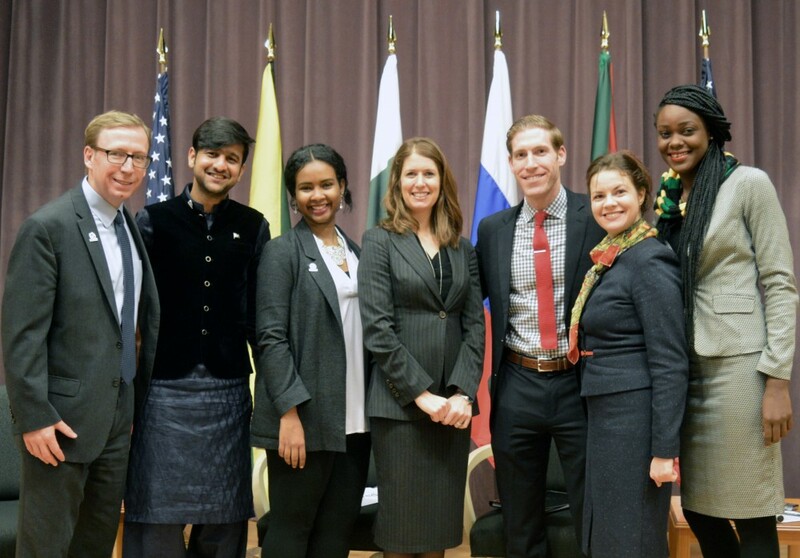 Through this partnership, the State Department committed to working with Atlas Service Corps to bring 100 of the world’s emerging civil society professionals to the United States for 12-month professional fellowship programs under the J-1 training program. The fellowship offers full funding for training programs in civil society, non-profit, and for-profit enterprises, and it exposes the fellows to cutting edge best practices, while incorporating the participants into perhaps the most important network of their lives. EGLI Atlas Corps Fellows pose for a group photo at event reception. The aim of the fellowship – and the reason it is a central pillar of the Stand with Civil Society agenda – is that participants leave the program with important new skills and expertise that will allow them to positively impact their communities back home. Each of them has clear goals for paying it forward by strengthening their own civil societies, building innovate local ventures, and bringing disparate communities together. 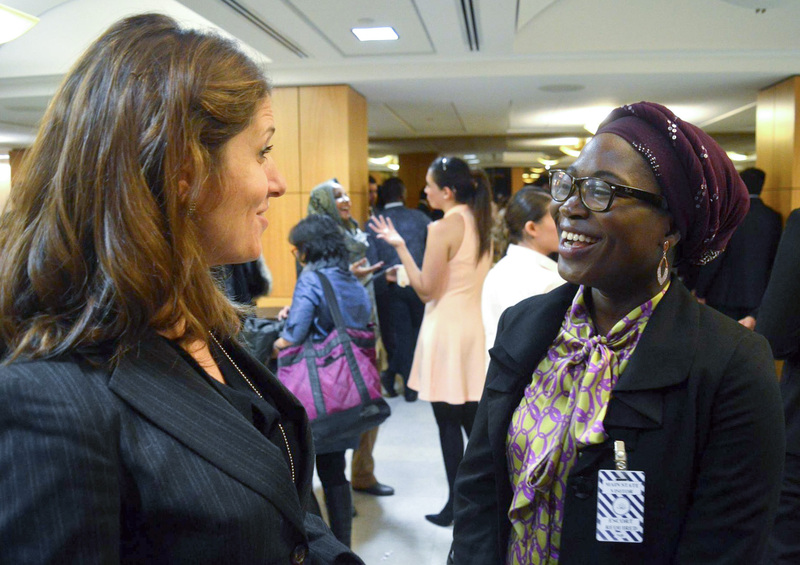 Deputy Assistance Secretary Robin Lerner engages with an event participant. Ultimately, the program strives to strengthen civil society around the world by bringing participants together in the United States to build lasting relationships and strong international partnerships, and sending them back home to get to work. The networks they make will stay with them their entire lives, as will the knowledge that the United States invested in them through the Exchange Visitor Program. I am proud that this privately-funded mechanism for exchange is being put to work, turning out high quality future leaders. This is something we can all stand with.